Alba Botanica Skin Care - Natural Very Emollient Body Lotion Original. 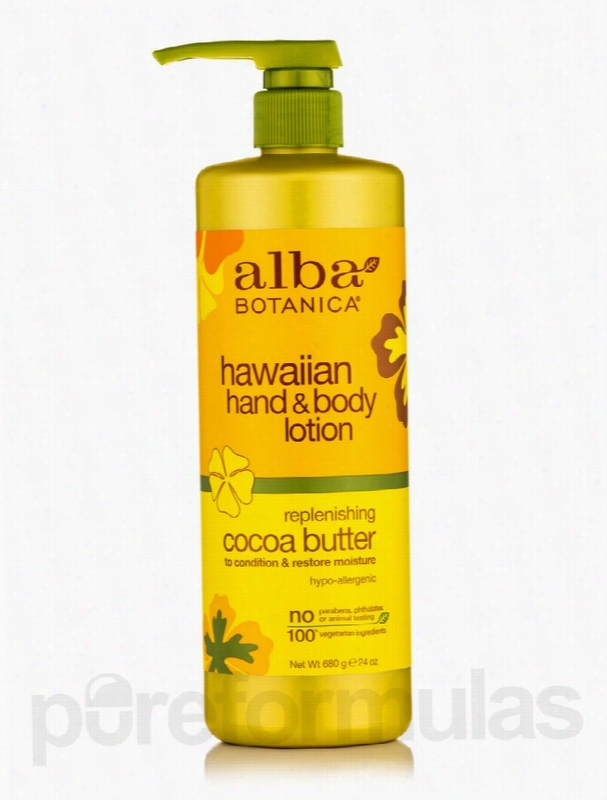 Natural Very Emollient Body Lotion Original Scented by Alba Botanica helps nourish and enhance the radiance of skin. Moisturizes the skin Exfoliates the skin Including Natural Very Emollient Body Lotion in your skin regimen helps maintain moisturized skin. This body lotion has Chamomile Extract&sbquo; which can be helpful in relieving skin congestion&sbquo; and Cucumber to soothe the skin. Cucumber has the ability to calm skin irritation and relieve puffy skin. Sesame Seed Oil is known to contain antioxidants that may reverse skin aging. Avocado Oil has the ability to support damaged skin. Sesame Oil could also act as an anti-bacterial agent. Natural Very Emollient Body Lotion also includes Grape Seed Oil&sbquo; which minimizes wrinkle formation. Natural Very Emollient Body Lotion Original Scented 2 oz. (57 Grams) Includes the Following Ingredients: Chamomilla Recutita (Matricaria) Flower Extract: Enhances skin health Cucumis Sativus (Cucumber) Fruit Extract: Soothes the skin Sesamum Indicum (Sesame) Seed Oil: Helps nourish and rejuvenate the skin Persea Gratissima (Avocado) Oil: Relieves damaged skin Vitis Vinifera (Grape) Seed Oil: Moisturizes the skin These statements have not been evaluated by the Food and Drug Administration (FDA). These products are not meant to diagnoseÃ¢ÂÂ treat or cure any disease or medical condition. Please consult your doctor before starting any exercise or nutritional supplement program or before using these or any product during pregnancy or if you have a serious medical condition. Jason Natural Products Bath and Body - Fragrance Free Body Wash - 16. This pure&sbquo; natural fragrance free body wash gently cleanses even sensitive skin without over-drying. Jason Naturals natural blend of hydrating aloe vera and calming chamomile and echinacea extract keeps your skin soft&sbquo; smooth and conditioned.Born in 1959&sbquo; Jason was one of the first to offer natural products without harsh chemicals. For over 50 years&sbquo; they have delivered wholesome&sbquo; no-nonsense&sbquo; natural products that happen to really work. Their products don't contain petrolatum&sbquo; sodium lauryl or laureth sulfates (SLS)&sbquo; parabens or phthalates. And they never test their formulas on animals. Jason Natural Products invited you to try their entire line of safe&sbquo; effective&sbquo; body-loving products. These statements have not been evaluated by the Food and Drug Administration (FDA). These products are not meant to diagnoseÃ¢ÂÂ treat or cure any disease or medical condition. Please consult your doctor before starting any exercise or Nutritional supplement program or before using these or any product during pregnancy or if you have a serious medical condition. 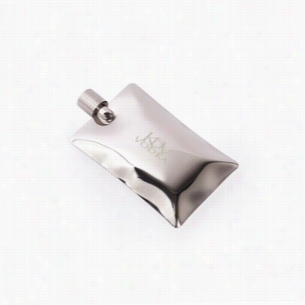 This mirror-finish stainless steel flask holds the perfect amount of your favorite sipper. Its unique manufacturing process lends it an inflated Liquid look, not unlike a Mylar balloon or foil drink packet. Giovanni Cosmetics Bath and Body - Cleanse Body Wash Grapefruit Sky -. Luxuriating body wash contains unique foaming agents that lather easily and gently cleanse Gentle yet rich in nutrients. Contains the exclusive Giovanni PureOrganic Technology blend. Advanced essential oil complex to soothe&sbquo; smooth and regenerate skin's lost. moisture. These statements have not been evaluated by the Food and Drug Administration (FDA). These products are not meant to diagnoseÃ¢ÂÂ treat or cure any disease or medical condition. Please consult your doctor before starting any exercise or Nutritional supplement program or before using these or any product during pregnancy or if you have a serious medical condition. Body Glove Boys Eyeglasses Boys BB 101. 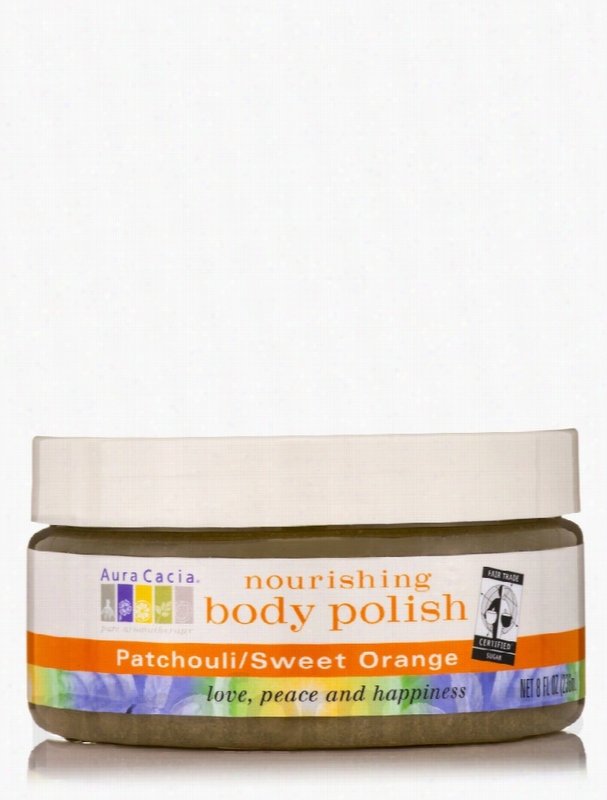 Aura Cacia Skin Care - Patchouli/Sweet Orange Nourishing Body Polish -. Patchouli/Sweet Orange Nourishing Body Polish 8 oz. Patchouli/Sweet Orange Nourishing Body Polish removes dull and dry skin. Removes dirt and dry skin Nourishes skin Moisturizes skin Patchouli/Sweet Orange Nourishing Body Polish gives the skin a healthy glow by scrubbing away dull skin. Grape Seed Oil&sbquo; Coconut Oil&sbquo; and Shea Nut Butter are natural emollients that help keep the skin moisturized. Grape Seed Oil leaves a thin film over the skin that Aids in retaining moisture. Signs of skin aging may be slowed down by applying Vitamin E on the skin. Patchouli and Sweet Orange gives a refreshing scent that can improve the mood. Nourish&sbquo; and get rid of dry&sbquo; dull skin&sbquo; by using Patchouli/Sweet Orange Nourishing Body Polish. Patchouli/Sweet Orange Nourishing Body Polish 8 oz. Includes the Following Ingredients: Grape Seed Oil: Keeps moisture in the skin Coconut Oil: Acts as a skin moisturizer Vitamin E: Fights signs of skin aging Shea Nut Butter: A natural emollient that prevents skin dryness These statements have not been evaluated by the Food and Drug Administration (FDA). These products are not meant to diagnoseÃ¢ÂÂ treat or cure any disease or medical condition. Please consult your doctor before starting any exercise or nutritional supplement program or before using these or any product during pregnancy or if you have a serious medical condition. 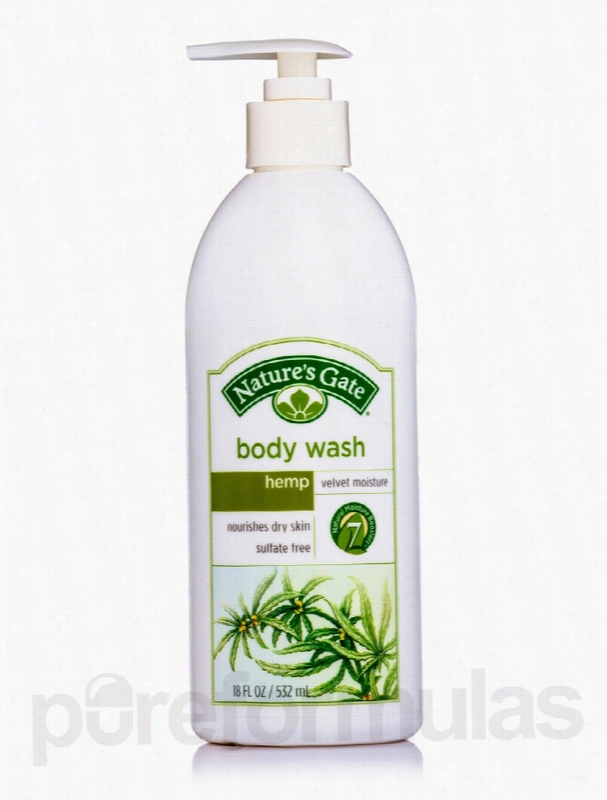 Nature's Gate Bath and Body - Hemp Velvet Moisture Body Wash - 18 fl..
Indulge the senses with a spicy&sbquo; romantic scent as you gently cleanse. Formulated to deliver a luxuriously thick lather&sbquo; the Hemp Velvet Moisture Body Wash cleanses and deeply hydrates skin. Features an exclusive blend of 7 Natural Moisture Boosters&sbquo; including Shea Butter&sbquo; Almond Oil&sbquo; Soybean Oil&sbquo; Apricot Kernel Oil&sbquo; Vegetable Glycerin&sbquo; Vitamin E and Sodium Hyaluronate. These ultra-hydrating ingredients work synergistically to help replenish skin's natural moisture barrier to deliver all-day hydration. Skin is left soft&sbquo; smooth and supple. These statements have not been evaluated by the Food and Drug Administration (FDA). These products are not meant to diagnoseÃ¢ÂÂ treat or cure any disease or medical condition. Please consult your doctor before starting any exercise or nutritional supplement program or before using these or any product during pregnancy or if you have a serious medical condition. 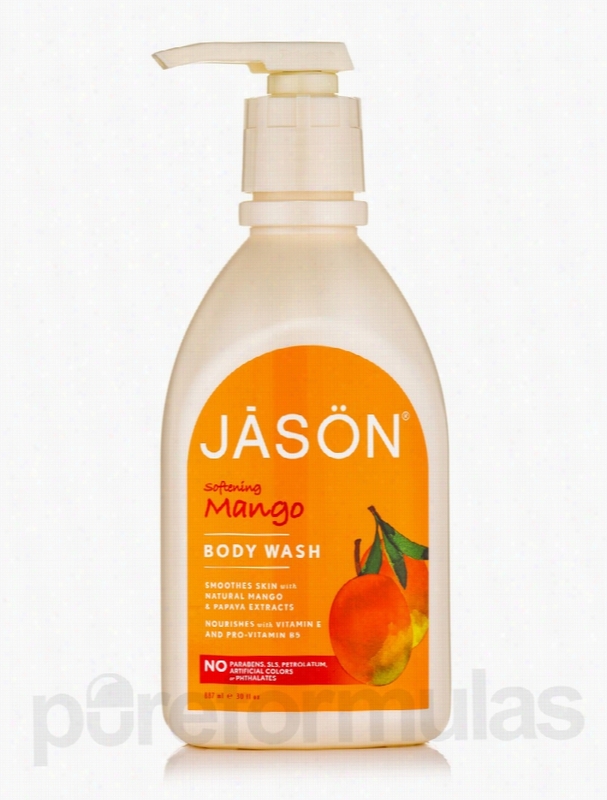 Jason Natural Products Bath and Body - Softening Mango Body Wash - 30. 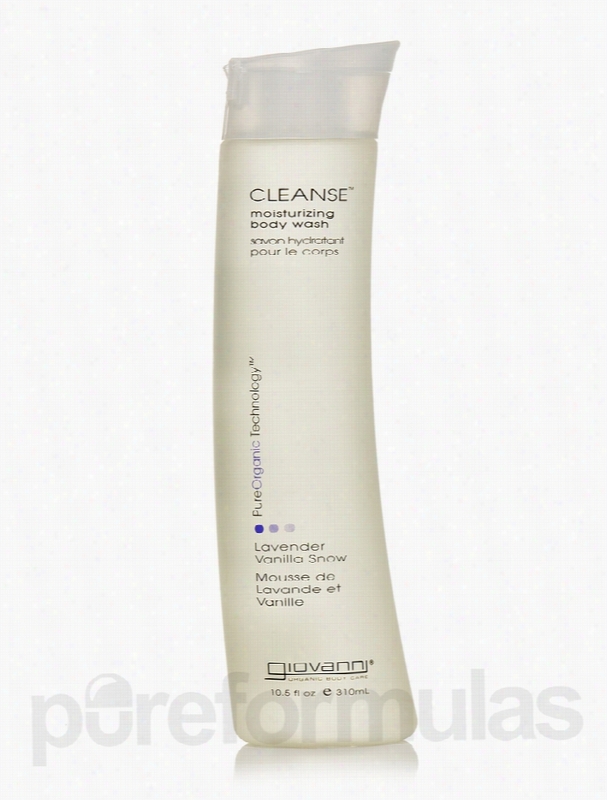 This gentle wash cleanses with natural botanical surfactants and safely nourishes with Vitamin E and Pro-Vitamin B5. Natural blend of exfoliating Mango&sbquo; Papaya Extracts and nourishing Natural Sunflower Oil keeps your body soft&sbquo; smooth and glowing with health. These statements have not been evaluated by the Food and Drug Administration (FDA). These products are not meant to diagnoseÃ¢ÂÂ treat or cure any disease or medical condition. Please consult your doctor before starting any exercise or Nutritional supplement program or before using these or any product during pregnancy or if you have a serious medical condition. Giovanni Cosmetics Bath and Body - Cleanse Lavender Vanilla Snow Body. CLEANSE&trade; luxuriating body wash drenches skin in refreshing lavender vanilla snow and contains distinctive looming agents that lather easily to gently cleanse away the day. Contains the exclusive Giovanni PureOrganic Technology&trade; blend&sbquo; an advanced essential oil complex to soothe&sbquo; smooth and regenerate skin's lost moisture. These statements have not been evaluated by the Food and Drug Administration (FDA). These products are not meant to diagnoseÃ¢ÂÂ treat or cure any disease or medical condition. Please consult your doctor before starting any exercise or Nutritional supplement program or before using these or any product during pregnancy or if you have a serious medical condition.